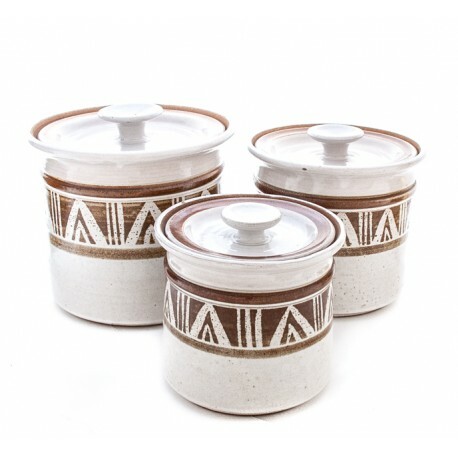 Hand thrown art pottery canister set. 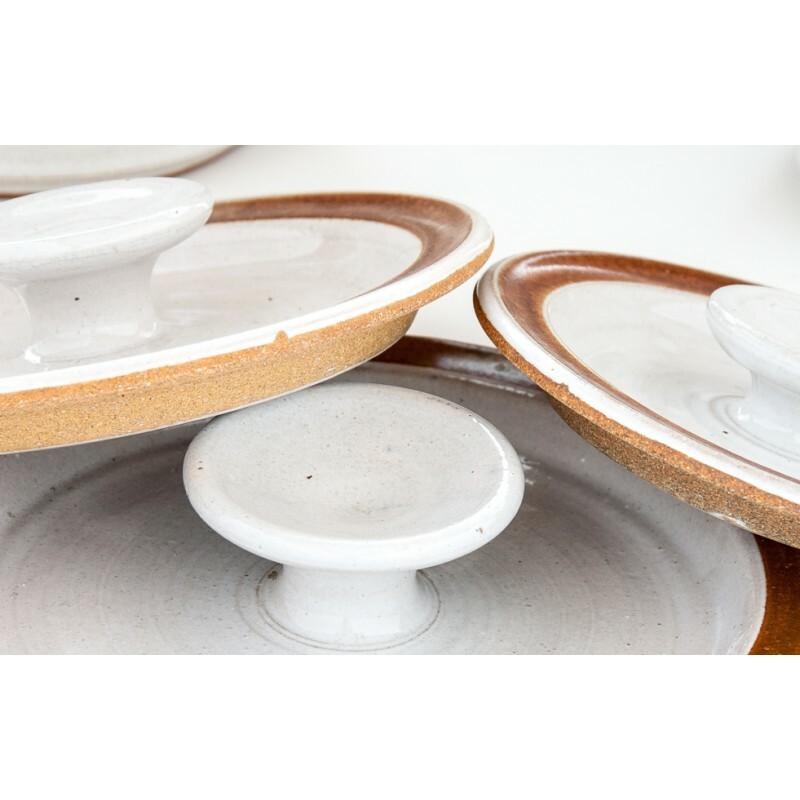 Three tiered sizes. 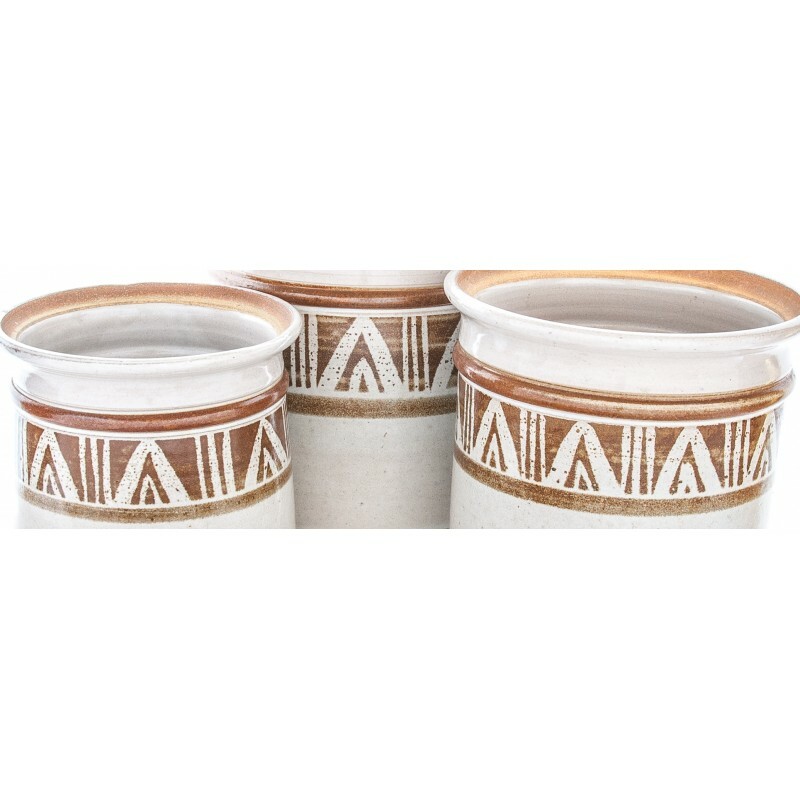 White & brown canisters with modern native (?) design. 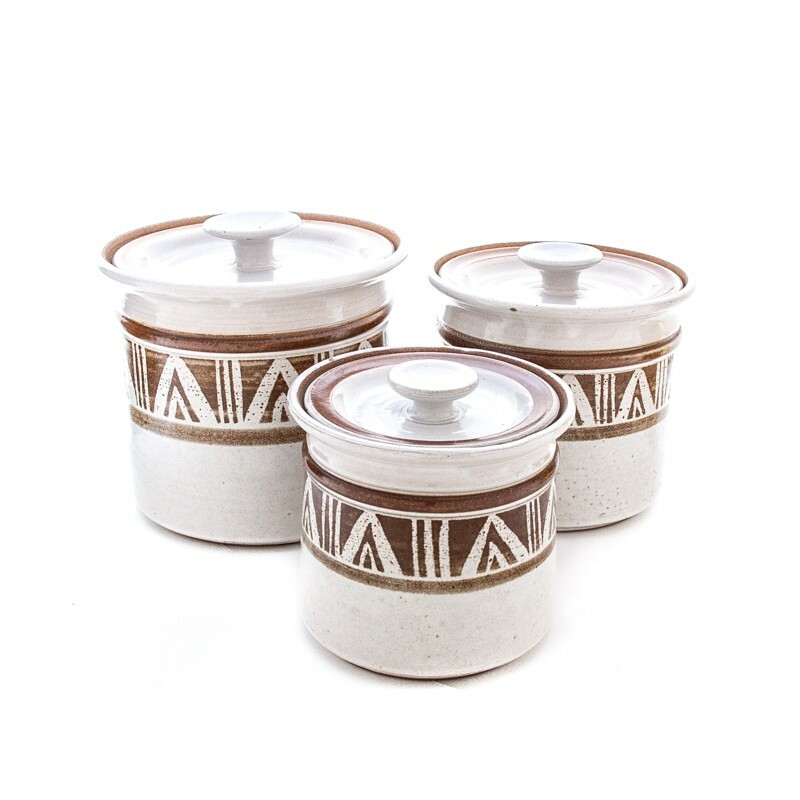 Each canister is made of a light, grainy, terra cotta clay with off-white base glaze. 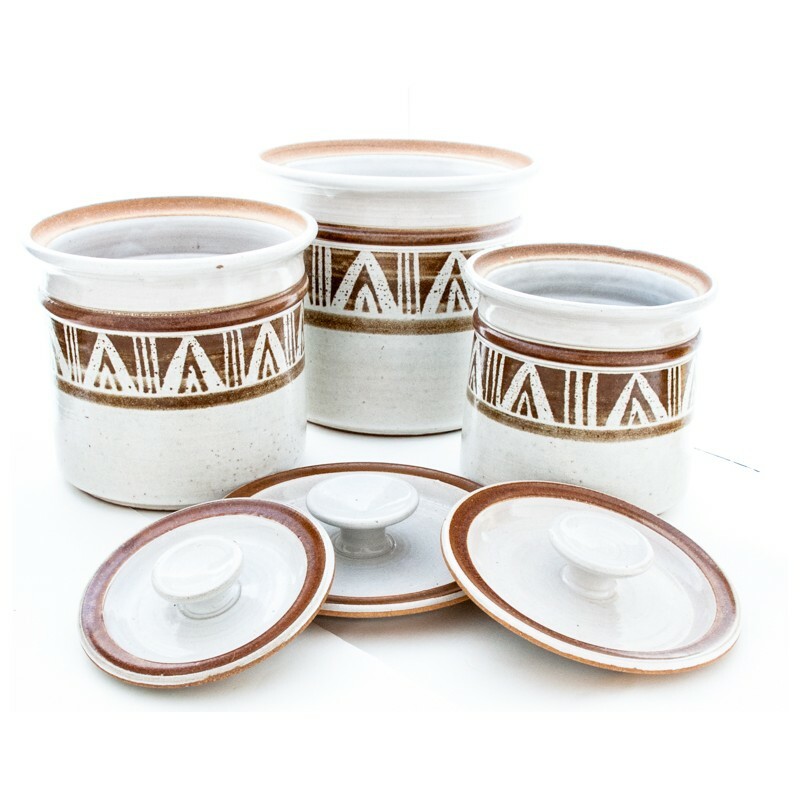 A band, which includes a small bump-out at its top, of American Native inspired design – stylized mountain and trees (?) – circles each a little over half way up the side. 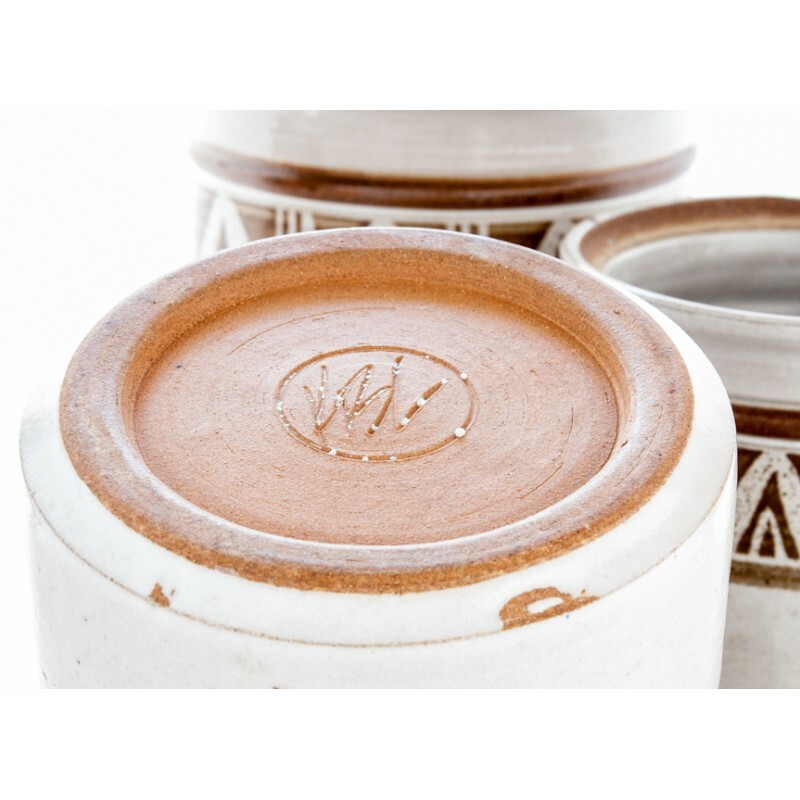 Expected characteristics of hand thrown pottery: small glaze voids, rough surfaces, uneven lines and edges, etc. are present. Image #2 shows glaze voids, (the glaze did not cover the bare clay) not chips. No cracks, chips, deep scratches, etc. VBV within a circle - signature incised on bottom ea. canister.